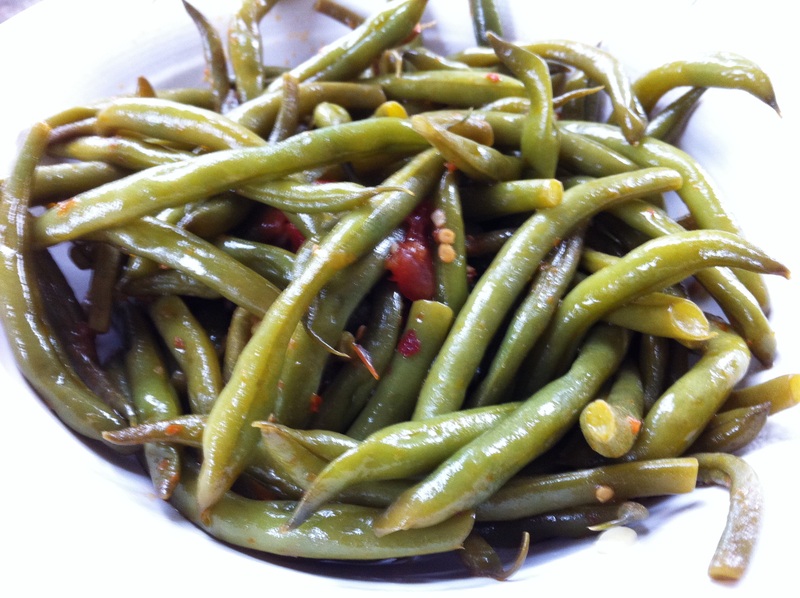 Using summer's best veggies, our Neapolitan Green Beans are enhanced with garlic, tomatoes and basil. Summer is the perfect time to make fresh homegrown veggies. A perfect complement to nearly any meal, a medley of garlic, tomatoes and basil enhance our slow-cooked green beans, infusing them with succulent flavor. Rinse and drain green beans. Place beans in medium saucepan while still slightly wet. Add garlic, red pepper flakes, salt, tomato and oil. Cover, cook over medium-low heat, stirring occasionally, until beans are soft, about 15 minutes. Add basil sprig; cook, uncovered, stirring constantly, until most of the juices have evaporated, about 5 minutes. Transfer mixture to a serving bowl. Discard basil sprig before serving.